A U.S. Naval Academy midshipman heading home to Queens on leave, an Associated Press staffer on his way back to New Jersey, a Philadelphia CEO who lived in Manhattan with her husband and children, a Wells Fargo executive, a CUNY dean who had just gotten his doctorate degree, and a real estate executive from Queens are among the eight people killed when an Amtrak train derailed in Philadelphia Tuesday night. The NTSB said the train, with 238 passengers and five crew members on board, was going at a speed of more than 100 mph when it overturned, leaving riders to scramble through shattered windows of toppled cars in their desperate efforts to escape the twisted piles of metal. The engineer has been identified by NBC News as Brandon Bostian, who lives in Queens. A lawyer for Bostian said the engineer had "absolutely no recollection" of the crash. Four of the victims who died were found inside the train; two were found outside and one died at the hospital, authorities said. An eighth victim was pulled from the wreckage Thursday, authorities said; no one remains unaccounted for. More than 200 were injured in the crash, some of them critically. Dr. Derrick Griffith, 42, of Brooklyn, was the dean of student affairs and enrollment management at Medgar Evers College in Brooklyn, and had just gotten his doctorate of philosophy in urban education before he was killed in the crash, according to Jamilah Fraser, the assistant vice president for communications and public relations at Medgar Evers College, who confirmed he died in the crash. "Derrick wore a number of hats as he worked to help others look toward a better life. He served as a school principal for a number of years and in 2003, he founded the CUNY Preparatory Transitional High School. In 2011, he was the Executive Director of Groundwork, Inc., an organization formed to support young people living in high poverty urban communities. He joined Medgar Evers College that same year as Assistant Provost in what was to become the first of a number of roles he would fill at the College," the statement said. In a Facebook post, CUNY Prep said: "Thank you for all of the thoughtful texts and tributes on Facebook for our founder, our Principal, our friend Derrick Griffith. We are all struggling with this terrible news and trying to find our way during this sad time. CUNY Prep will be closed tomorrow for day school and cta students. The staff will be there to mourn together and provide support to those in need." An NBC 4 New York Facebook post on Griffith's death was filled with tributes by those who knew him. "He was the best principal anyone could ask for. He pushed us and believed in us when we didn't believe in ourselves. I am going to miss Griff like crazy and am heartbroken that I won't be able to see him one last time," wrote Stan N Tiffany Beasley. A candlelight vigil for Griffith was scheduled to be held at 5:30 p.m. at 1650 Bedford Ave. in Brooklyn Thursday. Laura Finamore, 47, of Queens, died in the derailment, her family said Thursday. She worked in corporate real estate for 20 years, most recently serving as a managing director at Cushman & Wakefield. Born and raised in Douglaston, Finamore graduated from Benjamin Cardozo High School in Bayside and received a bachelor's degree in literature from George Washington University. "Laura was an incredibly loving and giving person, touching many people each and every day through her generous spirit, thoughtfulness and compassion for others. She will be greatly missed by all who knew and loved her," a statement from her family said. "It was her loving dedication and loyalty to her family and friends, which truly defined her as a person. Her favorite role was being an aunt to her seven nieces and nephews, who will all cherish memories of the special times they spent with her," the statement said. Finamore is survived by her parents, her three brothers and sisters-in-law and her nieces and nephews. Funeral services will be held at Fairchild Sons Inc. in Manhasset on Long Island. Her family has requested that donations be made to St. Jude Children's Research Hospital in Finamore's name. 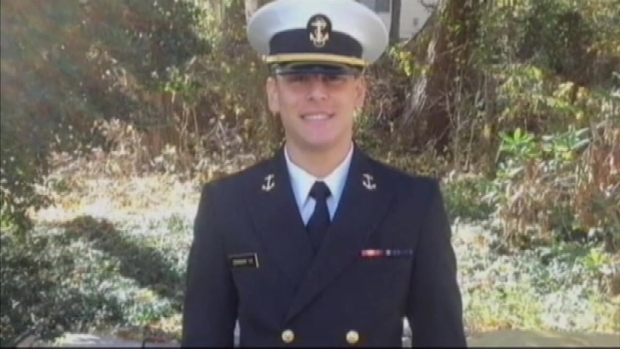 Justin Zemser was a midshipman at the US Naval Academy and was on his way home from school Tuesday night. Greg Cergol reports. UPDATE: Naval Cadet Mourned Ahead: "He Was the Face of Rockaway"
The dead included 20-year-old Justin Zemser, of Rockaway Beach, who was studying at the United States Naval Academy in Annapolis, Maryland, his mother told NBC 4 New York. Zemser's mother said he was on his way back home for break at the time of the crash; he was an only child, she said. When she heard that his train had derailed, she and Justin's father spent the night calling the hospitals to no avail, she told reporters Wednesday. "And then this morning, we got the phone call that my son had passed," she said in tears. "He was wonderful. Absolutely wonderful. Everybody looked up to my son," she said. Zemser, a popular student and athlete, was in his second year at the Naval Academy. Navy Secretary Ray Mabus called Zemser a "crucial member" of the institution. He served as vice president of the Jewish Midshipmen Club, according to the club's website, and played wide receiver on the academy's sprint football team. At Channel View School for Research, Zemser was valedictorian, student government president and captain of the football team. Sandy shuttered the school building for two months and temporarily forced Zemser's family to relocate, but he and his teammates salvaged their season, returning to the field for a final game in Staten Island two weeks after the storm. Zemser interned for New York City Councilman Eric Ulrich, who called him "truly a bright, talented and patriotic young man" in a statement Wednesday. Zemser also volunteered with a church program, a soup kitchen and a nursing home and mentored children with autism, U.S. Sen. Charles Schumer said. Schumer and U.S. Rep. Gregory Meeks nominated Zemser to the Naval Academy, and Meeks was struck by his "high character, intellectual curiosity, and maturity beyond his years." "He was an outstanding young man whose high character, intellectual curiosity, and maturity beyond his years inspired confidence in what he and his generation are destined to achieve," Meeks said in a statement Wednesday. Funeral services for Zemser will be held Friday. Jim Gaines was a father of two who worked for the Associated Press. 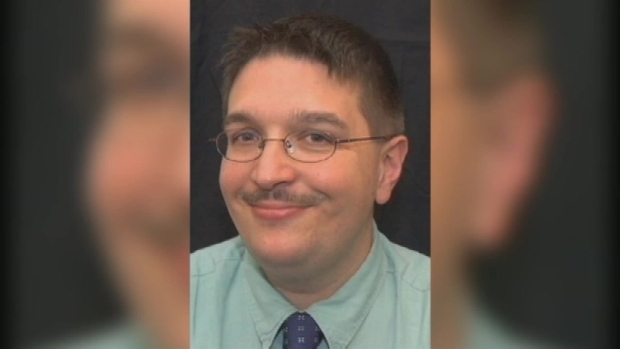 Jim Gaines, a 48-year-old father of two and a video software architect for the Associated Press, was on his way home to Plainsboro, New Jersey, when the train derailed. His death was confirmed by his wife, Jacqueline, the AP reported. In a statement, Jacqueline Gaines thanked the public for their support and prayers during the difficult time and said "Jim was more precious to us than we can adequately express." Gaines won AP's "Geek of the Month" award in May 2012 for his "tireless dedication and contagious passion" to technological innovation. He was part of a team that won the AP Chairman's Prize in 2006 for developing the agency's Online Video Network. He is survived by his wife and two children, 16-year-old son Oliver and 11-year-old daughter Anushka. Gaines joined the AP in 1998 and was a key factor in nearly all of the news agency's video initiatives, including the successful rollout of high-definition video and the AP's Video Hub — a service that provides live video to hundreds of clients around the world. In 2006, Gaines' team won the Chairman's Prize in 2006 for development of the agency's Online Video Network. Rachel Jacobs, the CEO of Philadelphia-based ApprenNet who lived on the Lower East Side with her husband and children, was commuting home to New York at the time of the crash. "This is an unthinkable tragedy," the Jacobs family said in a statement Wednesday as they confirmed the executive was among the dead. "Rachel was a wonderful mother, daughter, sister, wife and friend.She was devoted to her family, her community and the pursuit of social justice. We cannot imagine life without her. We respectfully ask for privacy so that we can begin the process of grieving." Jacobs, a leader in the increasingly technology-driven worker training and development industry, was commuting home from her new job at the Philadelphia educational software startup ApprenNet. The 39-year-old mother of two previously worked at McGraw-Hill, leading the expansion of the company's career-learning business into China, India and the Middle East, and Ascend Learning, another education-technology firm. She was also the chair of the board of directors for Detroit Nation, a grassroots organization of Detroit expatriates dedicated to supporting the city. Through the organization, she helped bring the Detroit Symphony Orchestra to New York for its first concert at Carnegie Hall in 17 years. Jacobs attended Swarthmore College and Columbia Business School. She joined ApprenNet in March and had planned on moving to Philadelphia. Abid Gilani, a senior vice president in the hospitality group at Wells Fargo, also died in the train derailment, the company confirmed Wednesday. "It is with great sadness that Wells Fargo confirms that Abid Gilani, a valued member of our Commercial Real estate division, has passed away. Our hearts go out to all those impacted by this tragedy," Wells Fargo spokeswoman Elise Wilkinson said in a statement. Gilani had been with the New York office of Wells Fargo for about a year, and had a residence in the city, the company said. The company declined to provide further details out of respect for Gilani's family. The last two victims were identified Thursday as Bob Gildersleeve, the Baltimore, Maryland, father who had been missing since the derailment, according to his employer, and Giuseppe Piras, an Italian whose identity was confirmed by Claudio Bisogniero, Ambassador of Italy to the United States. It's still unclear what caused the train to derail. There is no evidence indicating the crash was anything other than an accident, authorities say. The train's engineer, identified by NBC News as Brandon Bostian, has already met with investigators, while its conductor, whose skull was fractured in the crash, underwent surgery Wednesday at Albert Einstein Medical Center, police said. 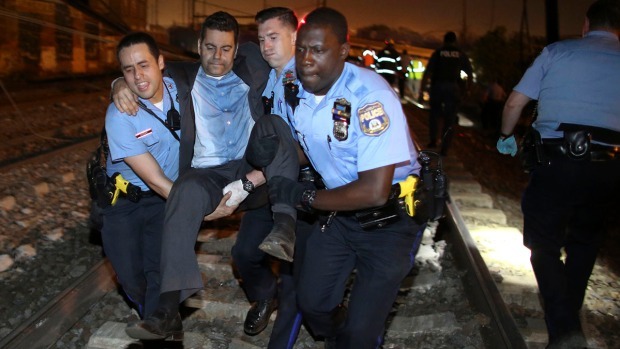 Amtrak said in a statement overnight that it was "deeply saddened by the loss of life." At the news conference Tuesday, Amtrak Board Chairman Anthony Coscia said the company is committed to the investigation and supporting passengers and employees who were affected. "This is the Amtrak family," he said. "We are very saddened by what has occurred." For updates from Amtrak, click here. Those whose travel plans will be interrupted can click here to review refund information or call 800-USA-RAIL. Amtrak has set up a hotline for concerned friends and relatives at 800-523-9101.